Being shy and being afraid to deal with people, both are the two different things. There are people who consider that both the situations are same but they are actually not. Being afraid to face the crowd is actually a disorder and it is called as social anxiety disorder. Public speaking is a fear for people but for many it is a disease and which needs to be cured on time. There are many situations and symptoms of social anxiety disorder. A person who is suffering from the same or has someone close to him who is facing from social anxiety disorder, it is required that it should be observed well so that the timely treatment for the same could be given. In this article below we are going to mention about the possible fears of social anxiety disorder, this may help a person to know about the disease well so that it may be cured on time. Speaking in a Group: When a person is afraid of speaking in a group then definitely this is the first and the foremost important symptom of social anxiety disorder. 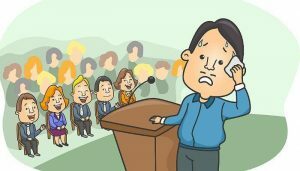 Giving a Presentation or Speech: A person facing problem in delivering presentation or speech in public is suffering from anxiety disorder. Meeting New People: If a person is having problem meeting with new people then also it indicates that he has serious anxiety disorder type of thing. It should not be taken casual in any form. Being Introduced: The fear of self introduction or getting introduced by someone is also a sign of social anxiety disorder. Talking to Someone in Authority: Talking to someone in higher authority is also a symptom of social phobia especially when it continuous in all cases. Being Observed Doing an Activity: A person who would be suffering from social phobia would be afraid of getting noticed while he is doing any sort of activity or work. Eating or Drinking in Public: A very common sign is not feeling comfortable eating or drinking in public. Using the Telephone: Not feeling comfortable while using phone in public is also a sign of social phobia. So, these are few of the feared situations that a person who is suffering from social anxiety disorder faces. It is always required that the timely consultation from a good and experienced doctor for social anxiety disorder should be taken. As always said that prevention is better than cure and this is what works with migraine as well. Migraine is a disease in which one faces excess headache and that too on the one side of head only. It is a disease that can be sometimes so much severe that it can also take the life of people. To understand the thing better, understating the things better is required. If you really want to fight with the same then you should better know the prevention step as well. Here are few of the very useful tips that will help you to prevent migraine. Learn to Cope: As per the recent researches it has been found that a strategy called learning to cope (LTC) may help prevent migraines. In this practice, one is gradually exposed to headache triggers to help desensitize you to them. LTC may also be combined with cognitive behavioral therapy. More research is needed to better understand the effectiveness of LTC. Create a Consistent Daily Schedule: The reason for most of the diseases is irregular routine and definitely the same follows with migraine as well. If you want to prevent migraine then you should establish a daily routine with regular sleep patterns and regular meals. In addition, try to control the stress. Exercise Regularly: It has been found that regular aerobic exercise reduces tension and can help prevent migraines. If your doctor agrees, choose any aerobic exercise you enjoy, including walking, swimming and cycling. Warm up slowly, however, because sudden, intense exercise can cause headaches. Regular exercise can also help you lose weight or maintain a healthy body weight, and obesity is thought to be a factor in migraines. Reduce the Effects of Estrogen: Women are more prone to migraine attack. If you are a woman who has migraines and estrogen seems to trigger or make your headaches worse, you may want to avoid or reduce the medications you take that contain estrogen. Awareness is the best prevention from the disease. Consulting a good and experienced doctor for migraine treatment is necessary. A timely advice and a timely treatment is something that could help a person to get rid of the disease. Dementia or memory loss is a very common mental health problem which is affecting many a people nowadays. There can be variety of reasons for the disease. It can be caused due to depression, anxiety, or due to age as well. Other than going for the causes for the disease it is required that one should scan the symptoms for the same so that, timely treatment for the same could be given. For understanding a disease better, it is required that one should closely scan the symptoms for the same so that the timely treatment should be given. We are here mentioning six early symptoms of dementia or memory loss that would help a person about the same. Short Term Memory Changes: Short term memory change is one amongst the most common symptom of dementia. In this case a person remembers things only for a shorter duration of time and then forgets about it. Difficulty Finding Right Words: When a person finds it difficult to find the right words then also it signifies that he is suffering from some sort of memory loss. It is always a clear sign that would tell that something is not right. Mood Changes: Constant mood change is also a sign of dementia. If a person is very frequently switching to different moods then it means that his concentration is not good and he is mentally disturbed. It can be a sign of dementia. Apathy: Tend to cut off from social circle can also be a sign of apathy. This is something that could make a person to forget about the love, affection and care he got from his loved ones. Difficulty Completing Normal Task: Even for completing the normal tasks if a person is facing problem then it is a problem. This is a sign of early dementia. Confusion: Always confused with the things. A person who is suffering from dementia often gets confused with the normal things. A person, who may no longer remember faces, could not get the right words and always gets confused may be suffering from the early stage of dementia. 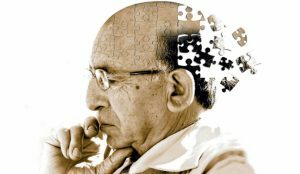 Consult a good doctor for dementia treatment in Delhi NCR if you or someone close to you is suffering from the disease. This is an illness that requires timely treatment else things can become worst. Mood swing or bipolar anxiety disorder is actually becoming a very serious issue. Extreme pressure of life makes a person to lose his concentration over things and due to this sometimes he also reacts and overreacts for the same. This mood swing is common amongst people nowadays but when it reaches to its extreme level then it really needs a proper treatment. In most of the cases people take mood swing casually but it should not be done like this. A serious attention is required for the same and more than that, a proper treatment. A self motivated person can only fight with the disease. 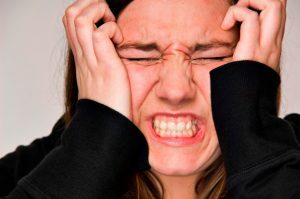 We are in this article, going to tell you as how you can help yourself when you find that you are suffering from bipolar anxiety disorder. Learn and Research: Educating yourself about the disease is always required when you really want to come out of the same. Learn and research about the signs, symptoms because these are few of the things that would help you to understand the disease and come out of it. Exercise: A regular exercise would keep your body moving and hence you can reduce the number of bipolar episodes. Aerobic exercise that activates arm and leg movement such as running, walking, swimming, dancing, climbing or drumming may be especially beneficial to your brain and nervous system. Try Yoga and Meditation: It has been always found that yoga and exercise helps a person to find the peace of mind and also helps in enhancing the concentration. There cannot be any good treatment than yoga and meditation for bipolar anxiety disorder. Maintain Social Circle: The first sign of mental disorder or depression is that, a person suffering from the same tries to cut off from his social circle. Don’t do this, instead try to maintain a social circle and meet up with loved ones regularly. Monitor Mood Swings: And lastly, to control bipolar anxiety disorder, you gave to monitor your mood swing. This is required as it would help you to get the best treatment and that too in the proper time. So, these are few of the best points and tips from our side that would help you to self-help when suffering from bipolar anxiety disorder. Consulting a good and experienced doctor in Delhi for bipolar anxiety disorder treatment is always the best way to deal with the disease. Depression is not a disease but it is a thought of mind that makes a person alone and unhappy too. A person when suffers from depression tends to lose interest on everything and everyone near to him. Depression is definitely a thing that needs a proper care, cure and attention. If it goes to the extreme condition then one can even lose his life, hence the best way to save someone from depression is the timely detection and treatment too. If there is someone in your family, whom you think is suffering from depression then first of all, you should give timely treatment and should also try finding out the reason behind that. 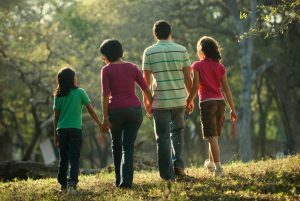 We are here in this article, going to tell you few of the ways that you should handle someone in your family, who is suffering from depression. Talk: If you are finding someone in your family who has got sudden behaviour change then depression can be one amongst the reasons for that. First of all, you should talk and discuss what is going wrong. In the case of depression people tend to keep them in solitude and this is what worsens the case, if you really wish your loved ones to remain healthy and happy then first of all, you should talk to them in this concern. Include: The second thing that you can do in this regard is that, you should include them in every decision. They should not feel avoided just because they are suffering from the thoughts in their mind. The best way to make them deal with depression is this only that you should include them in all the important and not so important decisions and discussions of family. Consult Doctor: You should never take depression casually because it is a very serious disease. Consulting a psychiatrist and that too in time is always required if you really wish to save your loved ones from this mental condition. Taking care of family members in every situation is your responsibility. If you find that they are not in the proper condition of mind because of depression, you should not avoid them but tend to remain with them always. Timely advice of psychiatrist for depression treatment would always bring the good results. Being in a relationship is definitely one amongst the best feeling in one’s life. When a person gets engaged with someone he creates his own life of fantasy. In our life we want someone with whom we could share our goods, bads and also each and every phase of our life. But, unfortunately every dream that we see does not turn into reality and this is what goes with relationship as well. Broken relationship, heartbreaks these are as real as relationships and most of the people have to go through this phase of life either willingly or unwillingly. A bad phase of relationship is though a tough period of life but there is no skip but the person has to face it in any cost and in any way. If you or someone close to you is going through the same then in this article we are going to tell as how this bad phase of relationship can be eradicated. Here are few of the tips that would help you in handling the bad phase of life and relationship. Speak Out Emotions: The more you would hide feelings within yourself the more you would be hurt. If you are going with something bad in your life and relationship then you should speak with someone reliable and trustworthy about the same. Maybe they will not give you a way out but it would relief you from pain a bit. Travel: Traveling is the best way to forget you. If you really had something bad in your relationship and want to come out of that then give yourself time and travel. Go to a place where you have never been to and definitely this would help you to forget the pain of life. Engage Yourself: The more you would engage yourself in a work the easily you would forget the bad things. Engage and indulge yourself in hobby or activity because this is going to help you in forgetting the things that were not happening well in your life. Consult a Psychiatrist: And, if despite all the best efforts from your side, you are not able to get relief from the pain that your broken relationship has given you then the last option which is there for you is to consult a psychiatrist. A timely consultation can help you to come out of this complication of life well. So, these are few of the ways that you can implement to get out from the stress of a bad relationship. Follow the tips and for sure you can handle the pain in the best manner.